Custom touches on this original owner Olde Towne home! Extended large front porch welcomes you home. Separate living room, dining room with hardwood floors. Family room with fireplace. Bonus room could be 5th bedroom. Extended patio with sidewalk around house. Irrigation system. Roof & HVAC both replaced. Upgraded garage door. All new paint & super neat & clean throughout. No flood insurance required. 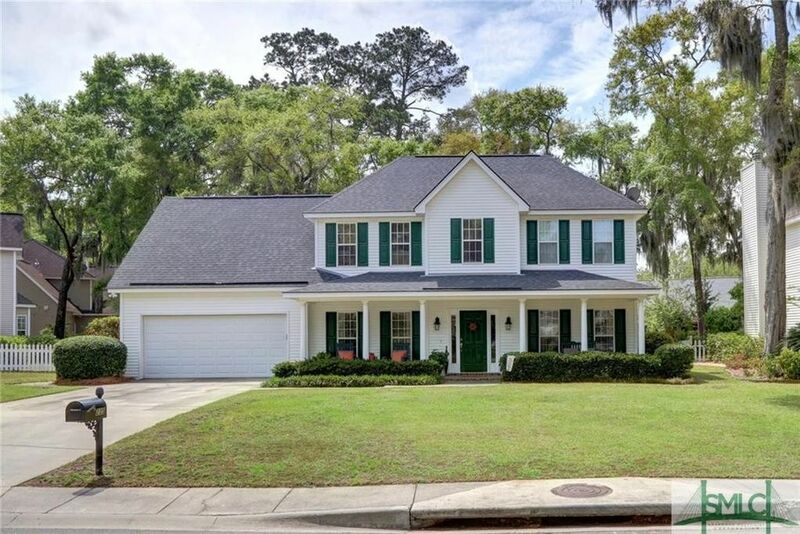 Olde Towne neighborhood most popular family friendly neighborhood on Wilmington Island. Directions: Johnny Mercer to Penn Waller to Olde Towne Subdivision - right on Olde Towne Rd - around to back - house on right.